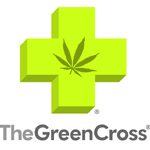 The Green Cross (TGC) medical cannabis collective opened its doors in 2004 as a storefront location in Noe Valley. Instantly it was known for its professional, patient-centric operation style. The mantra that TGC followed was “patients first,” a mantra that has since been used by many other organizations entering the medical cannabis industry. TGC broke the mold in 2006 by morphing into a delivery service. Today, TGC still offers many strains, medicated edibles and smoking alternatives directly and discreetly to your home with the same friendly service and low prices people have come to expect. 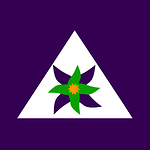 TGC has also been known as an exemplar in community and outreach services by offering patient consulting, care giving services, and an online community, going above and beyond traditional dispensary services, making it clear to not only its patients, but the community and the local government as well, that cannabis is much more important than many people deem it to be. On June 15, 2013, TGC finally opened a new storefront at 4218 Mission Street in the Excelsior District of San Francisco. 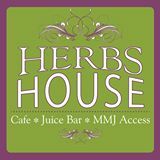 It took over six years to find a location and get the storefront up and running, but with the support of our valued members and the neighboring community, we were finally able to open our doors. As an organization, it is our top priority to provide our patient-members with quality medication at the low prices they’ve come to expect from us. It is important to The Green Cross to offer our patients a comfortable and accessible place to come purchase medication from professional and courteous staff members. A primary goal of TGC is to improve the social and economic conditions of the neighborhood, while providing living wages to residents of the surrounding area. Since opening our storefront at 4218 Mission Street, we have employed several residents of the neighborhood. We take pride in providing employment opportunities to talented individuals from a diverse array of backgrounds. Moreover, TGC has taken the initiative to join various local neighborhood associations to help better the district we now call home. Neighborhood safety is of the utmost importance to TGC. We have security personnel monitoring the block during business hours, making sure members are being respectful of the surrounding area. Loitering, double parking, leaving debris and smoking nearby are not permitted. We have mobile personnel monitoring the neighborhood during peak hours and in response to neighbor calls, enforcing our safety protocol and ensuring members are following the rules set forth by The Green Cross and local law enforcement. At our expense, TGC acquired the green zone in front of our storefront, which allows our members to park for a maximum of 10 minutes at a time. As a community nonprofit, TGC strives to be a valuable asset to the surrounding neighborhood and maintain a welcoming and safe environment for neighbors, local businesses and patients alike. It has been a lengthy process to open a storefront, but we couldn’t be more thrilled with the final product. We hope you will stop by and visit us soon. 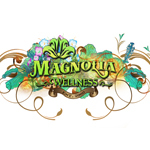 Triple Mega is a medical cannabis delivery service that serves patients in the Greater Seattle area. With that said, patients may arrange to meet at the office if they prefer. Orders can be placed with Triple Mega over the phone, online, or via text messaging.